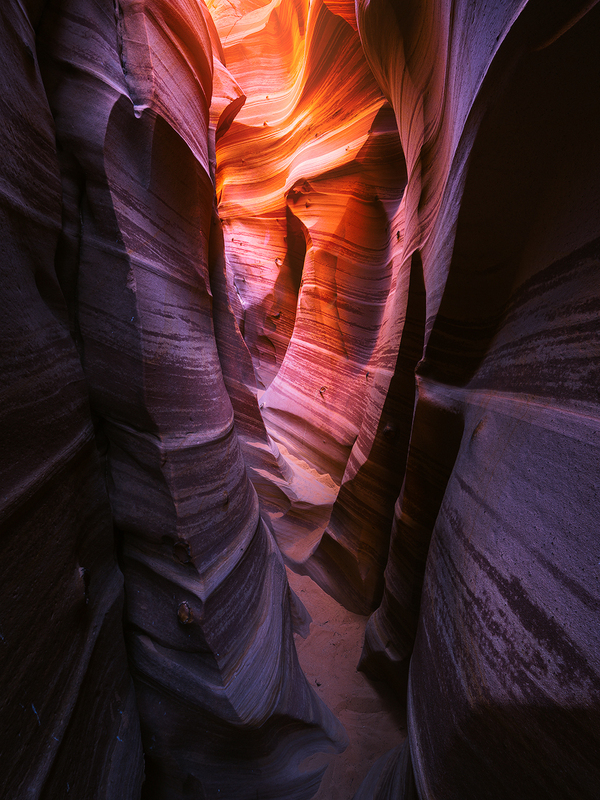 I haven't seen such dramatic and shifting light anywhere that compares to slot canyons. It moves quickly and makes the sandstone canyon walls glow. Secure your limited edition, Zebra Canyon print, 'Where Light Hides', by selecting your desired print size in the menu to the right.